Learn Realm Database and Realm Cloud! Realm finds the sweet spot between the simplicity of storing data as JSON on disk and using heavy, slow ORMs like Core Data or similar that are built on top of SQLite. And although the Realm documentation is pretty complete, you need a more detailed approach to help you learn how to leverage Realm properly in your app. Realm: Building Modern Swift Apps with Realm Database is here to help! This book is the easiest and fastest way to get hands-on experience with using Realm Database in your apps. Who This Book Is For This book is for anyone who would like to leverage the power of Realm Database or Realm Cloud in their apps. The book starts with a gentle introduction, then moves on to more complicated scenarios, including migrations, real-time sync and more. 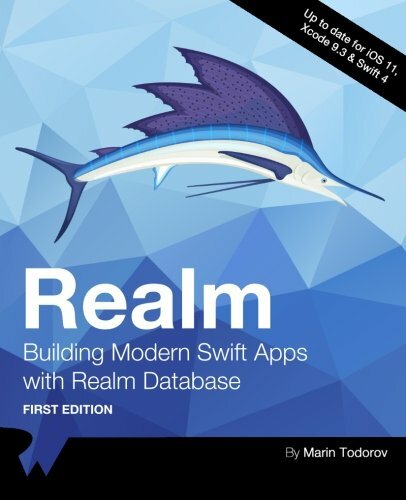 Topics Covered in Realm: Building Modern Swift Apps with Realm Database - Getting Started: Dive right into creating an iOS app that uses Realm to persist data on disk while following this tutorial-style chapter. - Object Basics and Data Types: Go deeper into Realm’s Swift API and discover the available classes and their methods to understand Realm’s superpowers. - Schema Relationships: Learn all about building powerful and efficient relationships between objects. - Notifications and Reactive Apps: See how to leverage Realm’s built-in notification APIs to deliver notifications to any observers. - Multiple Realms / Shared Realms: Use multiple configurations, read and write data, and explore new topics like sharing data in your app. - Dependency Injection and Testing: Learn how to use dependency injection, and how to write both synchronous and asynchronous tests in your app. - Schema Migrations: See how you can migrate the schema of a Realm file as it evolves alongside your app. - Real-Time Sync: Get started with Realm Cloud and learn how to apply your existing Realm Database skills to Realm Cloud. One thing you can count on: After reading this book, you'll be well-prepared to use Realm in your own apps!